SL Fashion and Digital Art "By Othar Markstein"
Today I bring you a special Valentines’s Day weekly offer for 69 Park Ave group members. 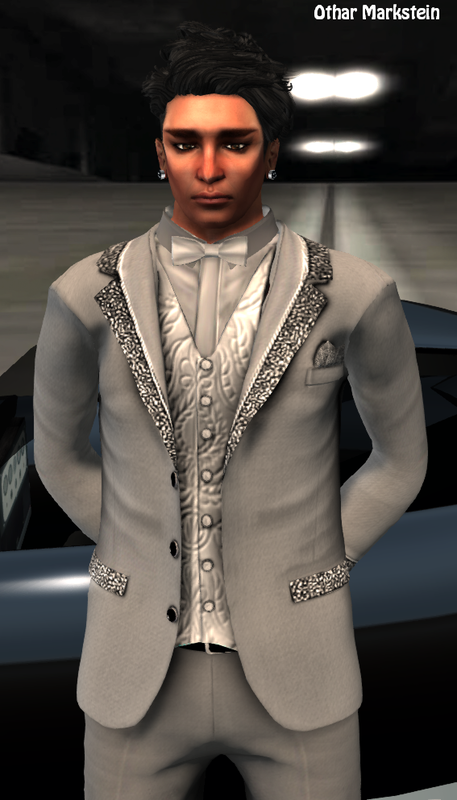 Starting Friday Feb 6th, for 169L, you can own a wonderful mesh mens Suit in either Red or Silver. Today I bring you another weekly offer for 69 Park Ave group members. 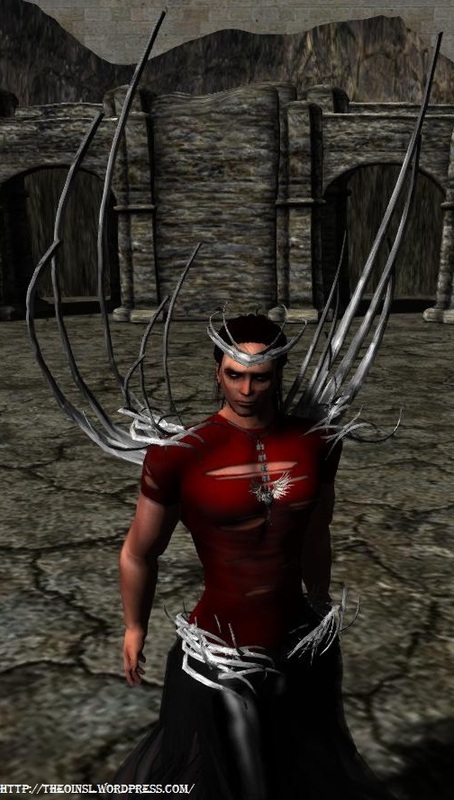 Starting Friday Jan 23rd, for 169L, you can own a wonderful mesh mens Tux in eithor Red or Silver. The shoes are also on sale by 69 Park Ave for the same price, and come with a color changing hud. 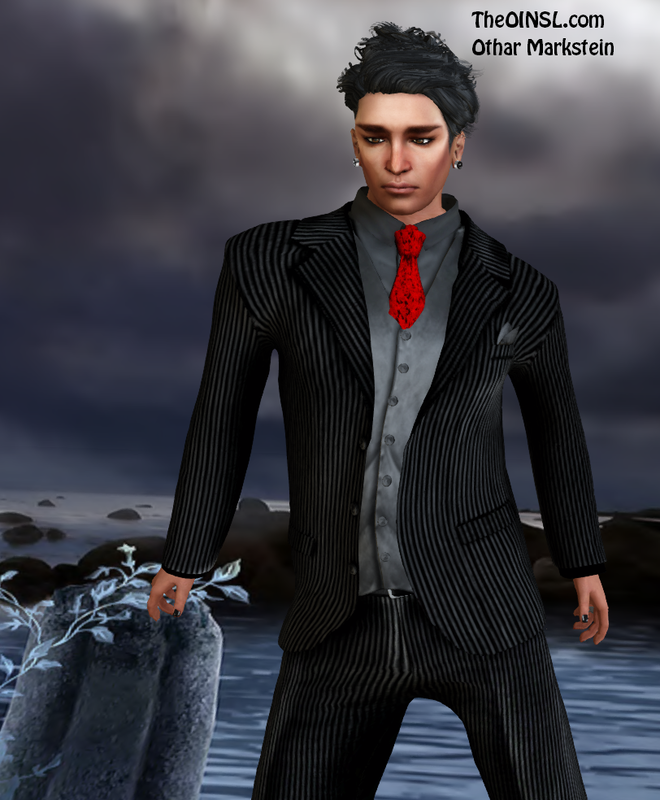 This week only for 69 Park Ave group members ( Inworld Store ) , you can own a 100% mesh hud controlled Black Three Piece Suit with color changing TIES, VEST AND SHIRTS for only 169L. Its rare to see this much detail and quality for such a great price. 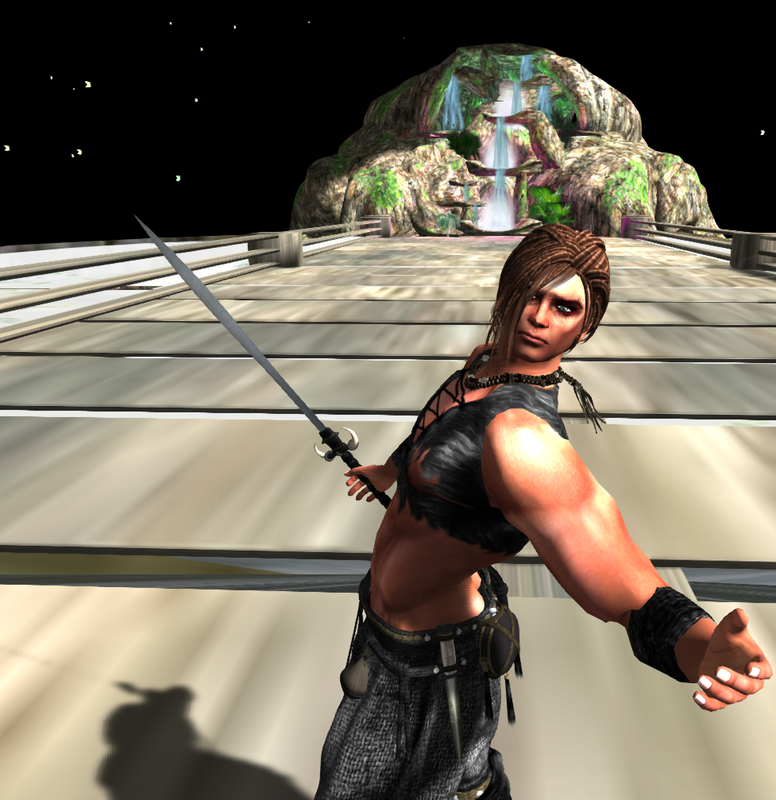 Your also notice how well the mesh bends to the pose I am using. Pose and background came from the always superb Image Essentials Studio. Hello Fashion warriors and Doctor Who Fans. Today we bring you the 69 Park Ave outfit called Royce that would be a dead ringer for David Tennant’s blue Doctor Who Suit. The red shoes are sold separate, but are also from 69 Park Ave. The glasses are from Dot-Be, and they looked like something the doctor would wear. He may of worn forks on his nose, a super fan will have to comment and let me know. My two lovely assistants, River Song, and Amy Pond have joined me today for this fun photo. I hope you all enjoy it. We bring you Matt Miller from Saints Row 4 straight out of his Cyber Universe. 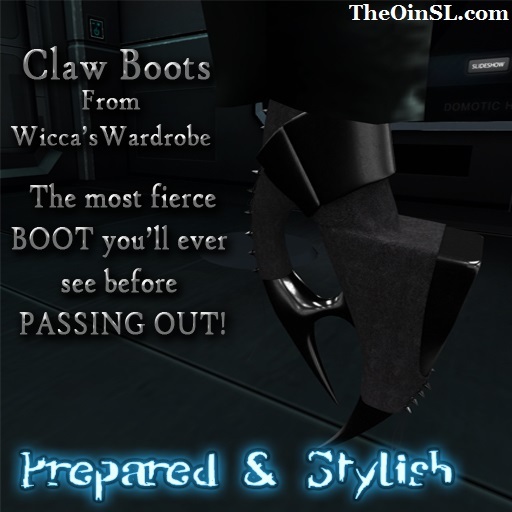 We know if Matt Miller was in SL, he would shop at [sYs] and Wicca’s Wardrobe. He may have many different lovable sides, but lets not forget, if you mess with him “He will cut you! ” with those wonderful boots. His well-toned arms and Slink hands seem to beckon your eyes to trail up his body to his own Two Tragic Emerald Green eyes, enhanced by BlackLiquid Dusted Blood that stares into the hollows of your soul. .:EMO-tions:. Golden Brown Dreads trail over his the cords of his back, caressing his broad shoulders, emphasizing the tone of his skin. The dim light of the moon reflects the Mad Monkey’s Necklace adorning the knotted muscles of his warrior’s chest. His tight, muscular waist clothed in well-fited [TF]– mesh pants, as practical as they are fierce. As he looks up to the moon with his sword to his chest, is he thinking of war or… of preventing it .. stealing your soul… or just your life? This warrior was partly inspired by GOT or Game of Thrones and the Dothraki, but none of the items are direct replicas from the TV show/book. Dorthraki are great warriors, but even great warriors know the way to a women’s hearts. Hard outer shell they front, but even the great Khal Drogo was smitten by his Khaleesi. 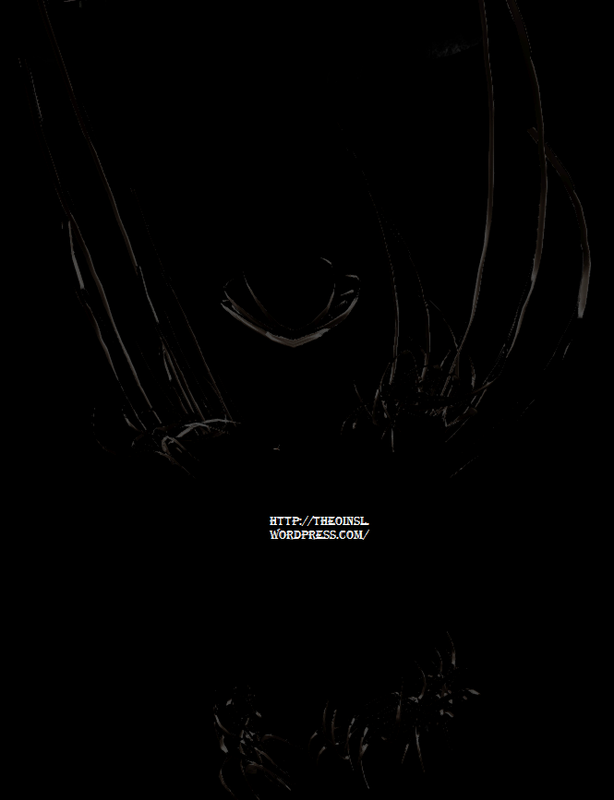 Finesmith hosted a murder mystery hunt from December 1st – 8th. 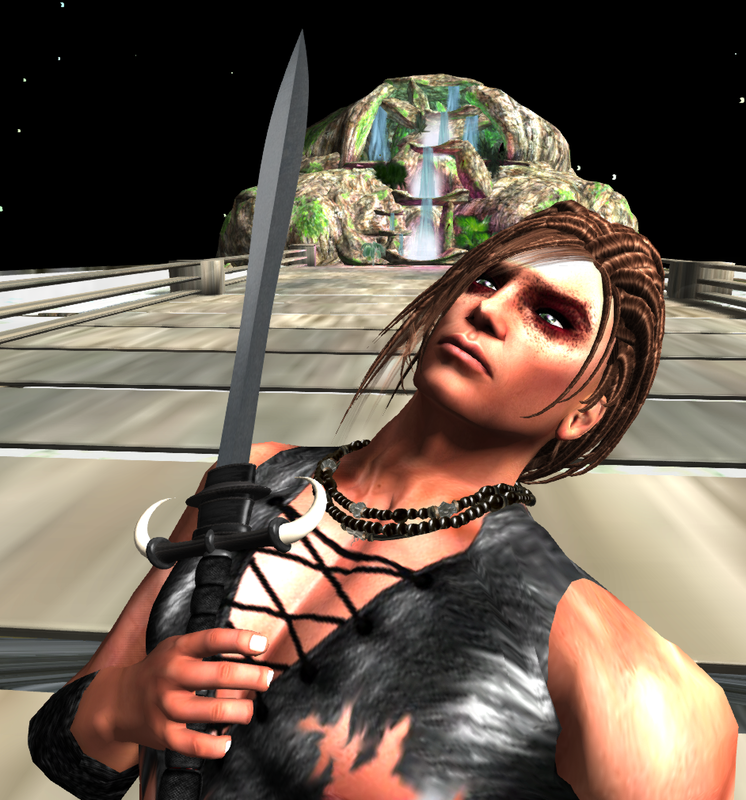 If you happen to complete most of the hunt, you would of found a limited edition Avant–garde outfit by Lybra. More RP pic coming soon!! !